Ora sarà possibile collegare via ferrovia il mar Adriatico con il mar Tirreno. DB Cargo Italy S.r.l. is managed by DB Cargo and owns a 60 percent share in NORDCARGO S.r.l. then DB Cargo Italia s.r.l. DB Cargo Italia Services S.r.l. handles customer service and support for all rail freight customers in the DB Cargo network in Italy. DB CARGO ITALIA S.r.l. handles all operations for DB Cargo in Italy. 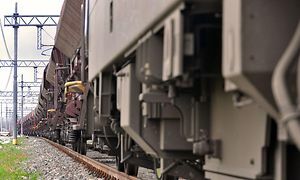 Well integrated into the DB Cargo network, it is the point of departure and destination for Italy in Europe's largest rail freight transport network.